A goal of the Robert Wood Johnson Foundation is to reverse the childhood obesity epidemic by 2015. When appropriately designed and managed, neighborhood sidewalks and streets, and local parks and playgrounds are children’s most popular neighborhood play places. When designed as meaningful desinations, parks should motivate children to walk/bike/skate to make frequent trips (getting to parks as well as being in parks) to help satisfy the Centers for Disease Control (CDC) recommended 60 minutes a day of moderate or vigorous physical activity. Safe routes to and from parks, which depend on neighborhood form and context, are as important as the physical attributes of parks themselves. NLI collaborated with NC State University colleagues to implement the interdisciplinary I-PARK research project, which employed a two-nested ecological systems perspective to integrate social-environmental (neighborhood characteristics and park characteristics) and individual characteristics. Determine extent of park use and how children’s physical activity differs by race/ethnicity, socioeconomic status and gender. Park use analysis using GIS to develop measures of neighborhood characteristics within 1/4-mile network distance to park entrance service area (PESA). Park behavior mapping using SOPARC. In-park interviews of park users. 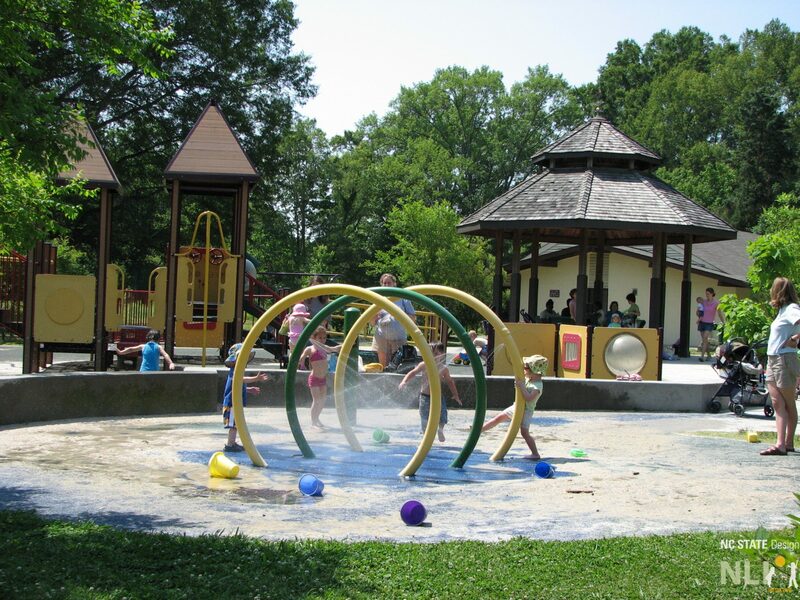 Substudy of three well-used parks using behavior mapping method developed by NLI, in-park interviews, and a simplified park environment audit tool developed by NLI to assess children and family park facilities. Durham, North Carolina, population 205, 000, median age 31 years, 14% under 10 and 13% 10 to 19 years. Combined majority are African American and Hispanic, 44% and 9% respectively, concentrated in the central area where study is focused and where small, closely spaced parks are accessible to young residents. Endorsement by Durham County Board of Commissioners Fitness Leadership Council, ensured excellent cooperation from the Durham Schools and other city/county agencies to implement the study. 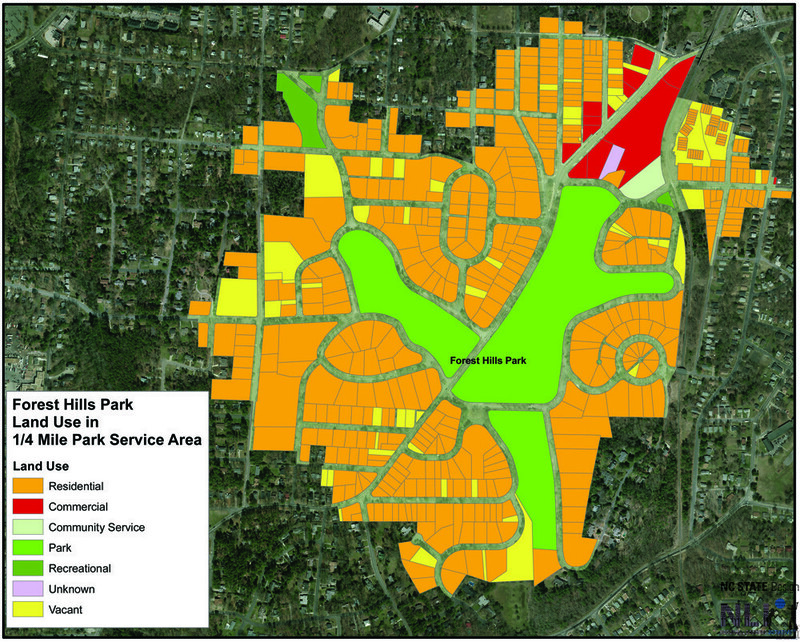 Park characteristics: EAPRS, shade/sun exposure, and archival Durham Parks Assessment data. Park physical activity using SOPARC with geo-coded behavior mapping. Behavior mapping of three, well-used parks. The two dependent variables, park use and physical activity within the park analyzed separately. 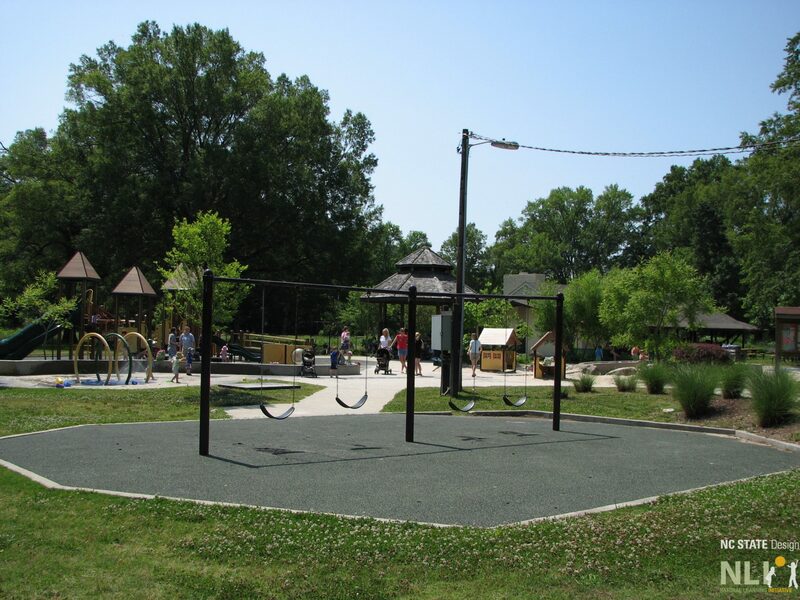 For children’s park use, environmental variables, including neighborhood characteristics and park characteristics are primary independent variables. 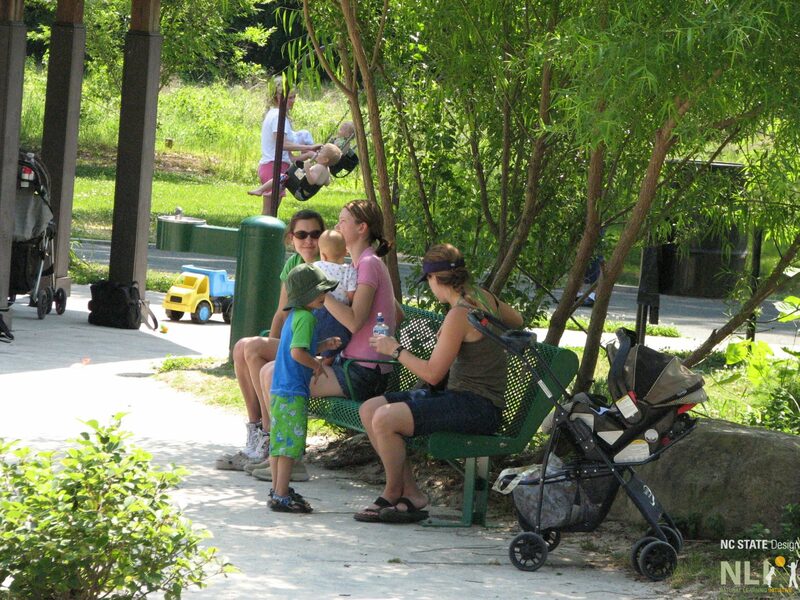 For physical activity within the park, environmental variables, including neighborhood characteristics, park characteristics, environmental codes from SOPARC, and behavior setting type are the primary independent variables. Data reported as proportion of children observed walking or active (moderate-to-vigorous physical activity) and estimates of energy expenditure rates by age group, gender, and ethnicity. Both dependent variables, multivariate analyses, including HLM, incorporate statistical controls for neighborhood characteristics, population density, children density, crime incidence, and other recreation areas in the neighborhood to account for broader neighborhood contextual factors.